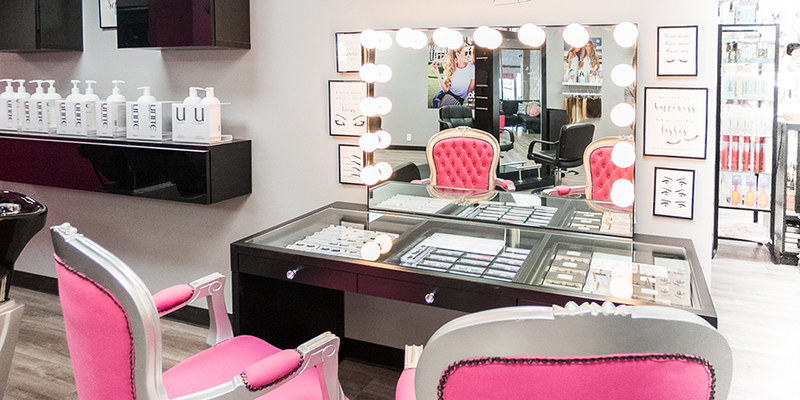 The Big Wigs is located at 1677 E Lincoln Ave. in Orange, CA. 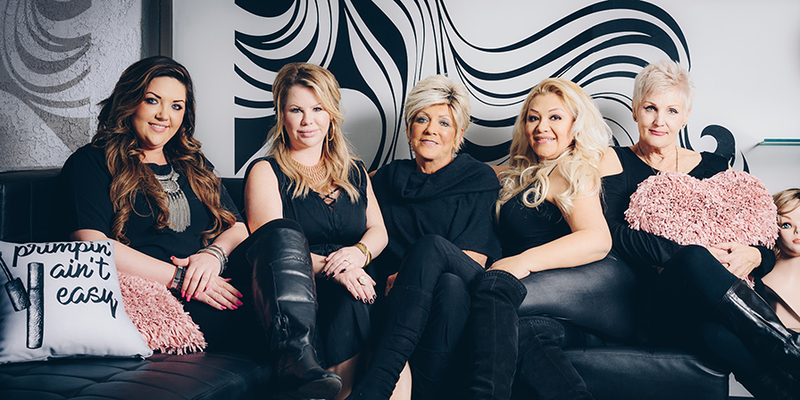 If you are in our area and need or simply want a wig, mink eyelashes, pony tails, waxing or any of the other services or supplies we offer, stop in and let Brandi and Sandy roll out the red carpet for you! We have contacted Oncologists and hospitals in the Orange County area and many refer their patients to us. We offer these customers a 15% discount, excellent service and our undivided attention! We are also very active with the NEGU organization. NEGU stands for NEVER EVER GIVE UP and it is an organization that offers moral support to families and kids with cancer. It is a very rewarding feeling to know that you can make a difference in someone’s life, put a smile back on their face and a little pep in their step! On September 10, 2015, we went to the “Going out of Business” sale at Jin’s Wig Salon and Beauty Supply in Orange. At the store we found Jin, the owner, behind the counter. After looking around, Brandi asked if she was moving her location. Jin shared that after 38 years, she was just so ready to retire! We, along with the other customers in the store, were really surprised! Although they were not together, two of the customers commented they had been coming to that store for over 15 years and would be lost without it. One commented “this store is really needed in our community.” After looking around I could see that the store could definitely use a complete face-lift, but she was right, this store was definitely needed in our area! Jin said she was having the sale for three more weeks and any leftover inventory was going to be donated to charity. She had a massive amount of inventory displayed; so I asked her what the value would be if she were to sell it all. She thought for a moment and gave me a figure. I took one look at my granddaughter and she was all smiles. Knowing me as she does, I think she knew what was about to happen! About that time, I turned to Jin and said SOLD; I’ll take it off of your hands! She looked at me like I had two heads and in retrospect I can see why! I wrote her a check and all of a sudden my Brandi had more extensions than she had bargained for! I thought I had experienced my share of success in my professional as well as my personal life however, little did I realize that all of my previous successes and experiences would soon pale in comparison! I knew this business would be such a fun for us to do together. However, it rather quickly became apparent there was one aspect I had never really considered. Many of our customers are going through treatments for cancer or other medical problems resulting in extreme hair loss. Having experienced cancer myself; I can completely relate! When one of these customers walks in we can almost instantly sense the despair, pain, and yes, even the embarrassment they are feeling! Our employees are trained to roll out the red carpet for every customer that enters our store. 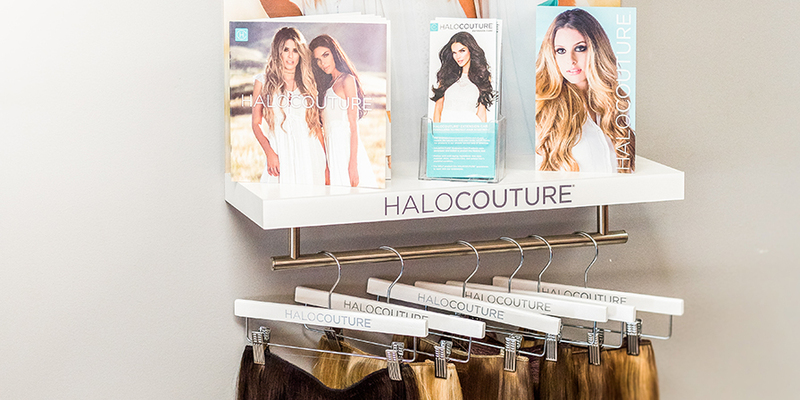 Additionally we offer a 15% discount to all customers experiencing extensive hair loss due to medical issues. Brandi recently helped a very reluctant, sad little girl (14) that came in with her mother, who was also somewhat reluctant, but desperate to help her daughter. The little girl had lost her hair from chemo treatments. 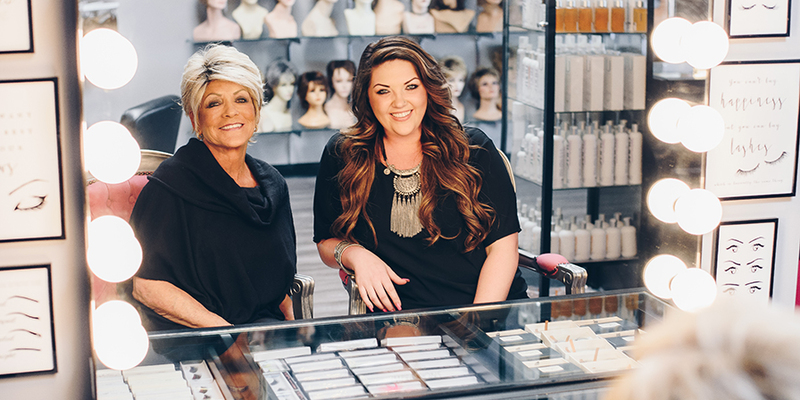 Before long, Brandi had her in the perfect wig for her age and just the style she wanted! By the time they left our store, the little girl was laughing, happy and even hugging my granddaughter and thanking her for giving her hair again! The mother was almost in tears and couldn’t believe her daughters reaction! She was so appreciative and commented that the situation they were facing had been so stressful. She and her husband thought it would be a very long time before they would see their daughter laughing and happy again! That made Brandi’s day to say the least! Now that my friends, is true success! Absolutely nothing has ever given me such a feeling of satisfaction! When we can give back and make even the smallest difference in another person’s life; that’s what it’s all about! Oncologists and hospitals in the Orange County area refer their patients to us. We offer these customers a 15% discount, excellent service, and most importantly – our undivided attention! It’s unbelievable how much the wig industry has evolved over the past few years. 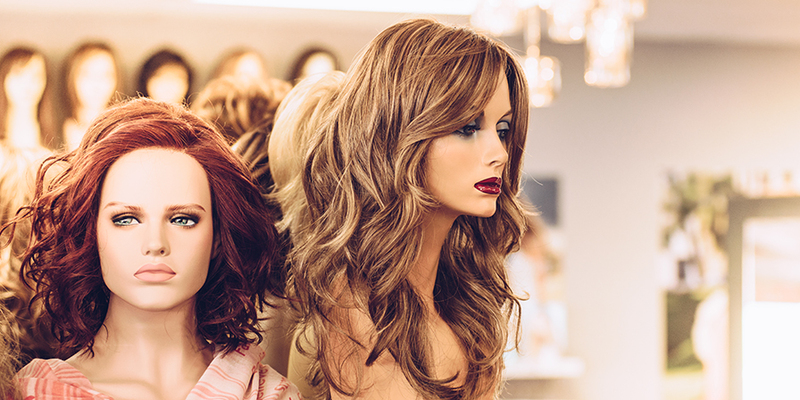 Wearing a wig can be fun, fabulous and completely undetectable! Think how many times you go out to dinner and yet never notice a wig! Trust me, you come into contact with someone wearing a wig, if not daily, more often than you think! It’s amazing how good they look and make you feel! 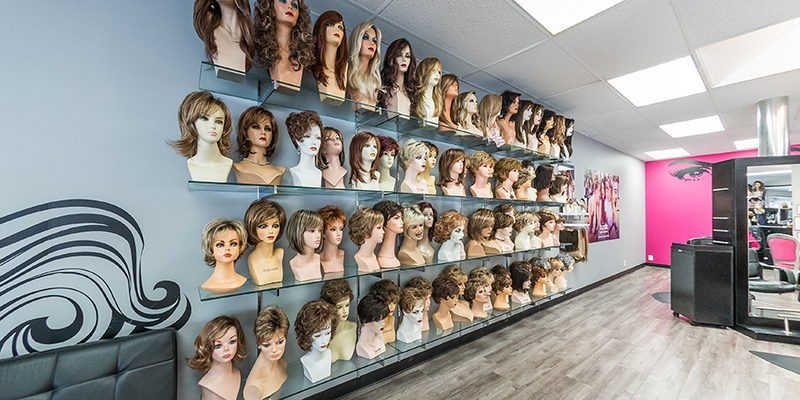 Whether you are experiencing hair loss, want a fun alternative look for a vacation, or just want a wig for the convenience of it all, at The Big Wigs we can help you make the perfect selection. Our inventory and services are extensive; wigs, hairpieces, extensions, toppers, pony tails, mink eyelashes, waxing, make-up and much more. Stop in and let Brandi and Sandy roll out the red carpet for you too! “The Big Wigs” is located on the corner of Lincoln and Tustin; behind Denny’s at 1677 E Lincoln Ave. in Orange. If you are in the area and need or simply want a wig, stop in and let Brandi and Sandy roll out the red carpet for you too!